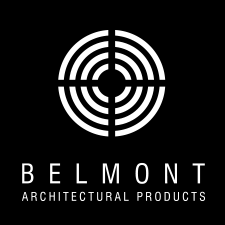 Belmont Architectural Products offer a beautiful solution to a wide range of stainless steel applications, with many unique and contemporary design features. Our products have provided bespoke solutions for flooring, staircases, balustrades, facades, wall-cladding, water features, heater, ventilation and speaker grilles for many prestigious buildings or projects. All our products are designed and manufactured at our Doncaster based headquarters, in accordance with our accreditation to EN 9001:2000, custom made to suit individual specifications. The grilles can be varied by utilising a selection of wire shapes, depths and weights to suit individual applications, as shown on our technical data sheets. When produced in sheet form, the product can be cut to suit templates, ensuring unusual shapes pose no problem. The grilles can also be manufactured in cylindrical form for column cladding, air conditioning vents and many other circular applications. The product can also be supplied in radial format offering a bespoke design to revolving door entrances, tree surrounds and many more situations. The unique triangular shape of Belmont’s innovative profile wires offer a smooth and controlled aero - dynamic air flow with a minimum of 50% open area with minimal disruption to allow extremely efficient control and negligible pressure drop or velocity loss. The product also offers a greater open area than perforated plate or alternative products and yet retains a more bespoke and attractive appearance in vogue with current trends. The method of manufacture, which achieves an exceptional weld penetration ensures a much stronger product than alternatives. The grille will always retain its integrity and flatness due to the manufacturing technique and will withstand side load impact to a greater magnitude. This ability to retain its integrity under load ensures a much enhanced lifespan can be achieved with very little maintenance necessary. BS EN ISO 9001 : 2000. We’re commited to providing the ‘beautiful solution’ to architectural grille installations. We supply a range of styles and patterns to inspire imaginative and practical applications. Our patented manufacturing technique produces an extremely strong, robust and durable product. We produce a corrosion free product with increased accessibility and reduced maintenance at a competitive price. We’re lowering our carbon footprint to satisfy many environmental issues. We provide a full auto-cad 3D design service to liaise with you and develop ‘your’ ideas. We look after our clients, no matter how big or small, from initial advise to design, manufacture, delivery, installation and after sales care.